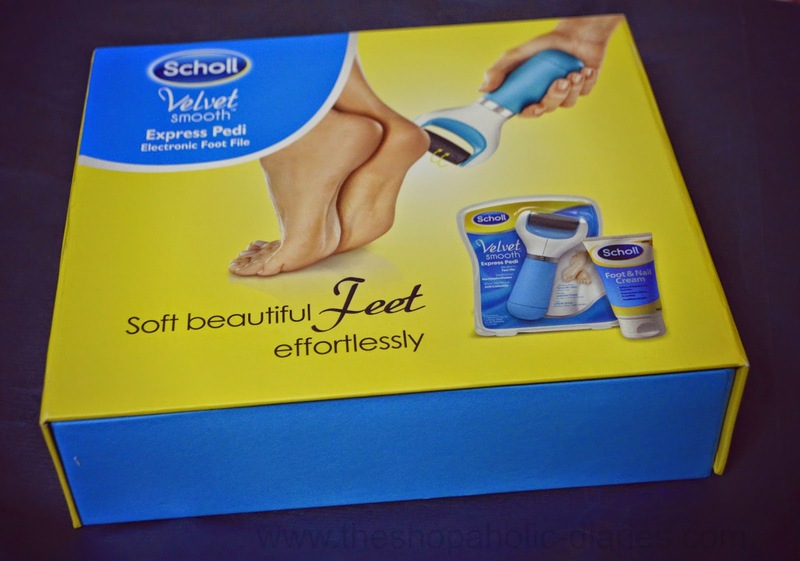 Review - Scholl Velvet Smooth Express Pedi Electronic Foot File | Get Beautiful Feet Effortlessly | The Shopaholic Diaries - Indian Fashion, Shopping and Lifestyle Blog ! Last week I had attended a Bloggers Meet by Scholl India at Le Meridian, Delhi where they launched a revolutionary product to help women achieve soft beautiful pedicured feet on the go. The product is called Velvet Smooth Express Pedi electronic foot file which is a one-of-its-kind product which can help you get smooth, beautiful feet instantly. Many of us who have a busy lifestyle or are working for long hours hardly get time to even get eyebrows done regularly. Therefore, when it comes to getting a pedicure, most of us (including me) become very careless and do not get pedicures done for weeks. And when I was introduced to Scholl Velvet Smooth at the event and its ease-of-use, I couldn't wait to get back home and try the product on my own. It is specially designed with a Microlumina roller head that effectively and speedily removes tough, lifeless skin and calluses by exfoliating the feet through a gentle rotating action. The absence of sharp blades makes it safe to use and leaves you with feet so smooth and gentle. Switch on the Scholl Velvet Smooth Express Pedi and move it gently and regularly over the dry, dead skin applying light to medium pressure. It features an integrated safety stop which prevents one from applying too much pressure. One should ideally continue with regular passes until the dead skin is completely removed and feet feel silky soft. Wipe or rinse feet to remove any excess dead skin and thoroughly dry feet. For best results it can be used with the Scholl Velvet Smooth Daily Foot Cream Moisturizer which keeps skin moisturized and healthy. 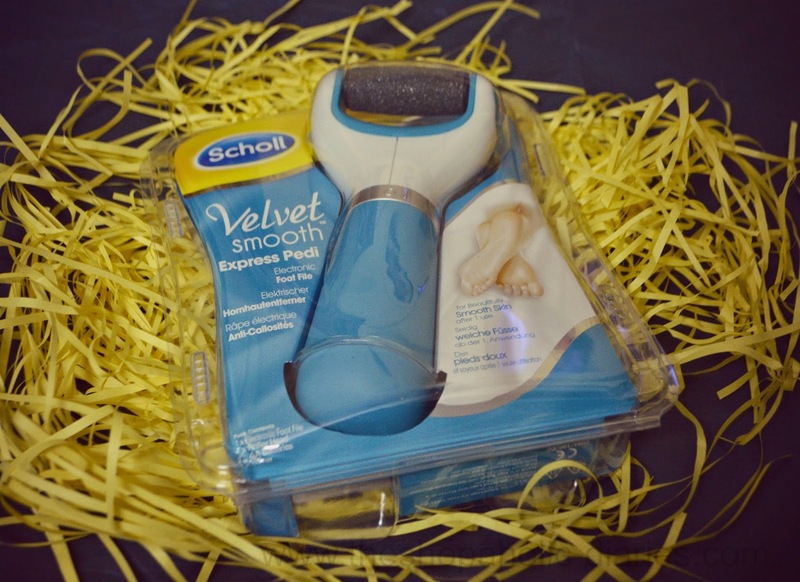 Scholl Velvet Smooth Express Pedi does what it claims. By using it for just 10minutes, I could easily remove the dead skin from my rough feet and could feel the difference instantly. My feet felt smooth, clean and soft after using the Express Pedi followed by their Foot Cream moisturizer. If you want to save time and money on regular pedicure appointments at a salon, this product by Scholl is a great investment for an easy, at-home pedicure. 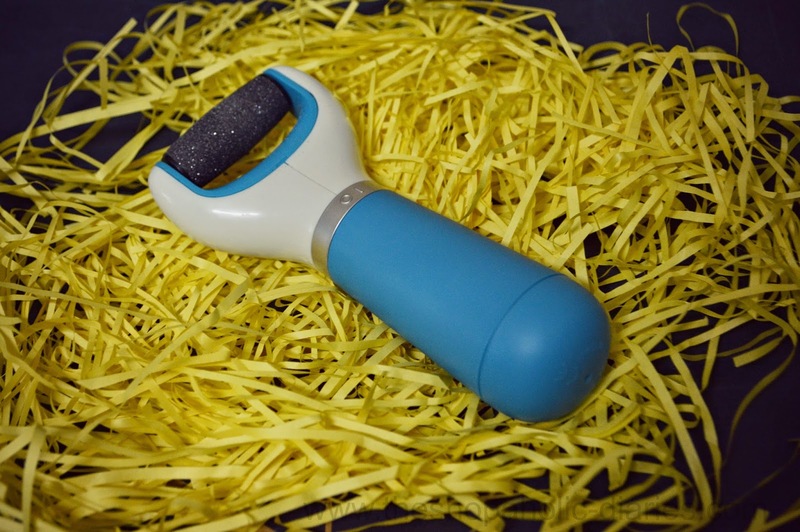 It is easy to use, has a perfect size that can fit into your handbag or toiletries kit, and features an exfoliating action that is much needed for rough feet. Scholl Velvet Smooth Express Pedi will be available across all major shoe chains and modern trade stores across metros and online retail outlets Flipkart, Amazon, SnapDeal at a price of INR 2,850 and additional roller for INR 899. The foot and nail cream is available at INR 200. 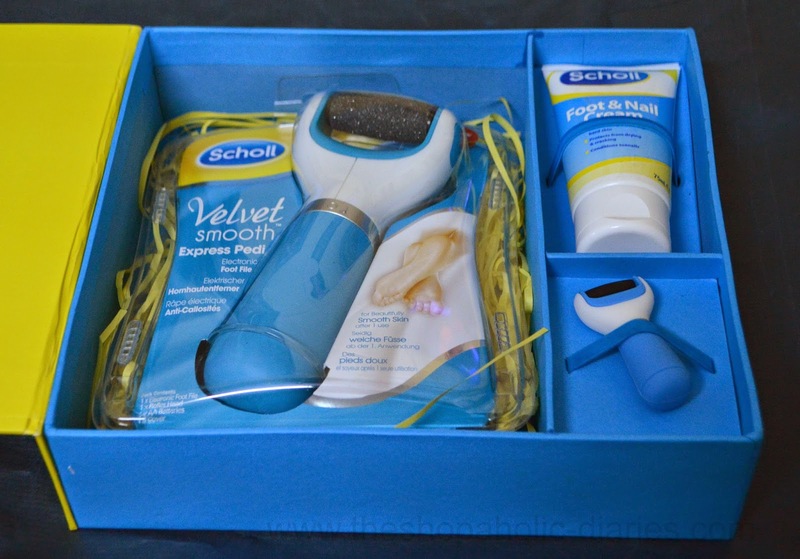 Have you tried Scholl Express Pedi yet? If no, then I would say it is a must-have product in your vanity kit to save time and money, and get beautiful feet instantly. i use this product...... its a Great Product! Hi, did it help to improve the dead skin area somewhere , little toe? My heels aren't that much of a concern as compared to calluses on the ball of my feet. Can share the result there too?